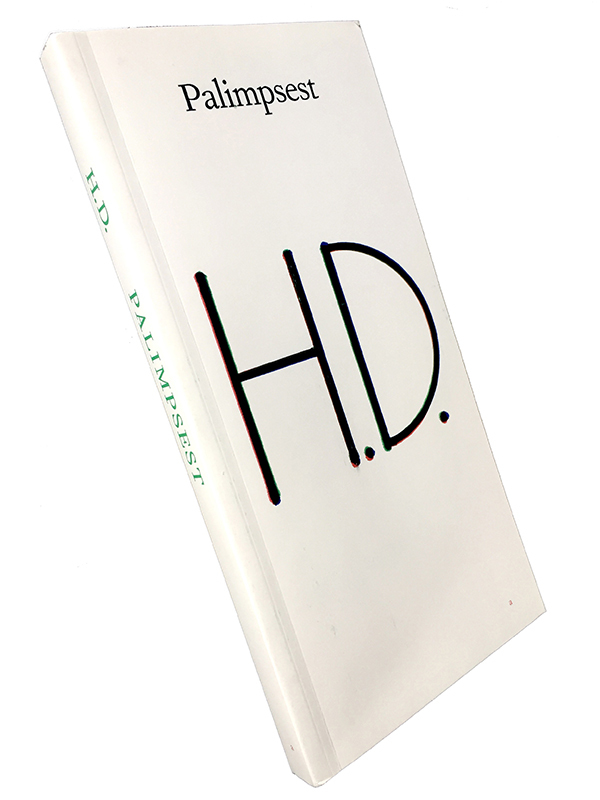 A new and unconventional edition of H.D.’s Palimpsest (1926), a novel today out of print and unavailable digitally. Will Holder typeset the text by reading it to his laptop over the period of a month, using Apple’s Enhanced Dictation to translate the spoken words to text. Palimpsest portrays a reincarnation of the thought processes of three women, while struggling to uphold a practice in the light of patriarchal and social distractions. Holder produced this publication for the exhibition “The Green Man” (Lucy Skaer with Fiona Connor, H.D., Will Holder, Nashashibi/Skaer, Hanneline Visnes) at Talbot Rice Gallery, Edinburgh, UK, in 2018. In each copy is slipped an “erratum,” which serves as a numbered certificate for the edition. Typographer Will Holder produces and distributes oral and printed publications in the art world. Since 2008, his white male voice has preferred to publish female and queer writings ...for single mothers, in an attempt to focus on something other than our differences. H.D. (1886–1961) was an American poet and novelist, associated with the early 20th century Imagist group of poets.